"The light of a candle" by Yosa Buson is the Songs of Eretz Poem of the Day for April 25, 2014. An English version of the poem, translated from the original Japanese by Yuki Sawa and Edith Marcombe Shiffert, may be found here: http://www.poets.org/viewmedia.php/prmMID/19523. 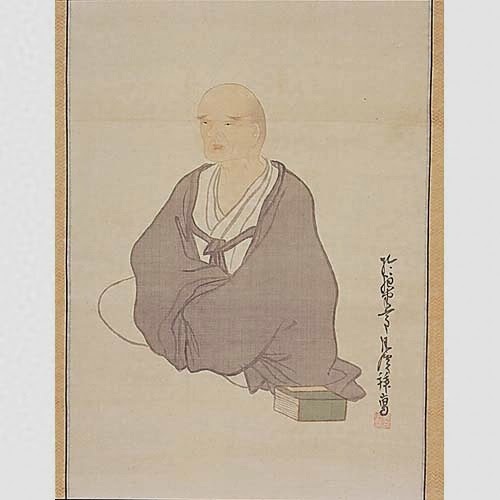 Yosa Buson (original surname Taniguchi) (1716 - 1784) (pictured) was a Japanese painter and poet. His mastery of the haiku form is second only to Matsuo Basho. He spent most of his life in Kyoto. His poetry is known for its beautiful imagery which is thought to have been influenced by his painting. Reference to this and other biographical information may be found here: http://www.britannica.com/EBchecked/topic/86315/Buson. Yuki Sawa and Edith Marcombe Shiffert co-authored Anthology of Modern Japanese Poetry (Charles E. Tuttle Co, 1972). Reference to this and additional information about the translators may be found here: http://books.google.com/books?id=TFz2WpwXspAC&pg=PA198&lpg=PA198&dq=Yuki+Sawa+poet&source=bl&ots=mVKS3hA3i4&sig=5VZ-S9BX_1NFP4-ubTpwBy8lNXc&hl=en&sa=X&ei=w-haU-OGDrOK2QWzuoGgCw&ved=0CEUQ6AEwAw#v=onepage&q=Yuki%20Sawa%20poet&f=false. It is interesting to note that the translators chose to use a title, capitalization, punctuation, and a non-standard line arrangement in their translation of this little gem by Buson--purists would frown upon such practices. Other interesting choices are the total number of syllables per line (6-9-3 instead of the traditional 5-7-5) as well as the total number of syllables in the poem (18 instead of the traditional 17). However, the basic haiku form is still recognizable with its balance of short line-longer line-short line and the subject-action-season sequence intact. Most important, the third line synthesizes the first two in a novel way and produces a nice surprise--in this case visual and pleasant.